Hi everyone. Are you preparing for a party? 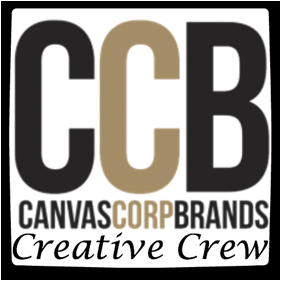 Have you thought about using Olyfun in your creations? Olyfun is a fabric that won't fray, has no grain, is water repellent and comes in 18 colors. 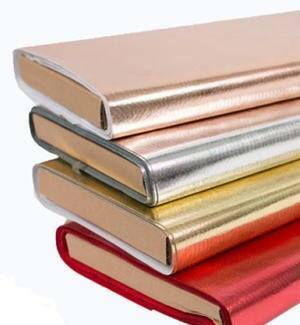 4 metallic colors were displayed at CHA and the colors are gorgeous - Silver, Red, Gold and Rose Gold. I needed some invitations and gift bags for an upcoming birthday so I turned to the metallic Olyfun. Trying to get into a summer mode, I created anchors and sailboats. 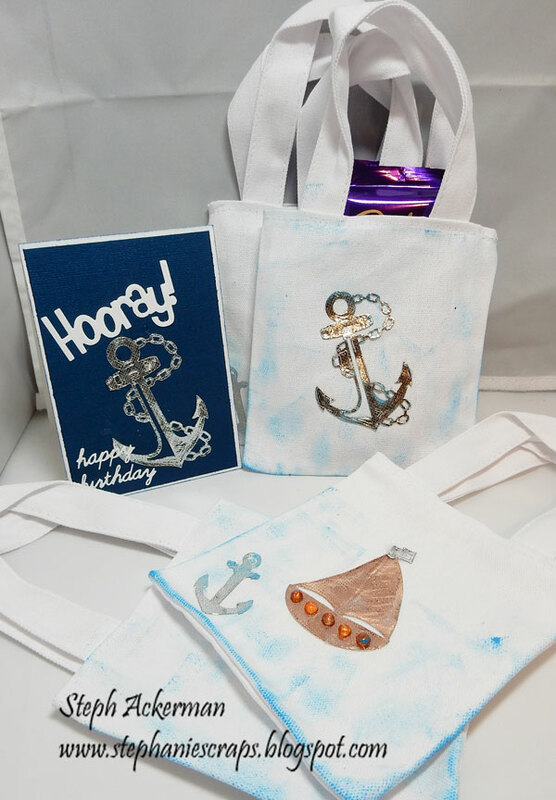 Olyfun die cuts well so these anchors and sailboats turned out amazing. 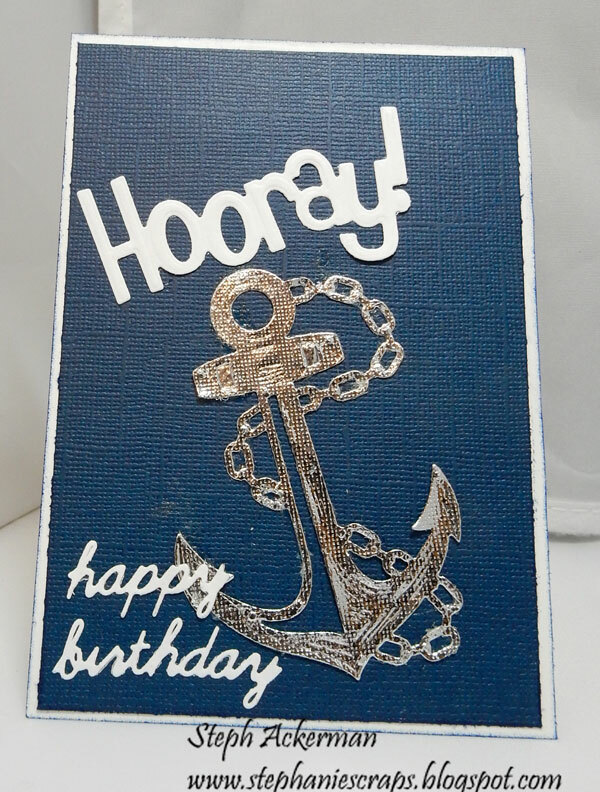 For the invitation, I used an assortment of Spellbinders dies, die cutting the anchor from Silver Metallic Olyfun. Placing it on a slight angle, I adhered it to the card with Fabri-Tac. I fit Hooray! 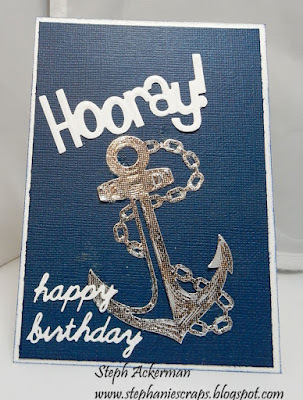 and happy birthday around the anchor. 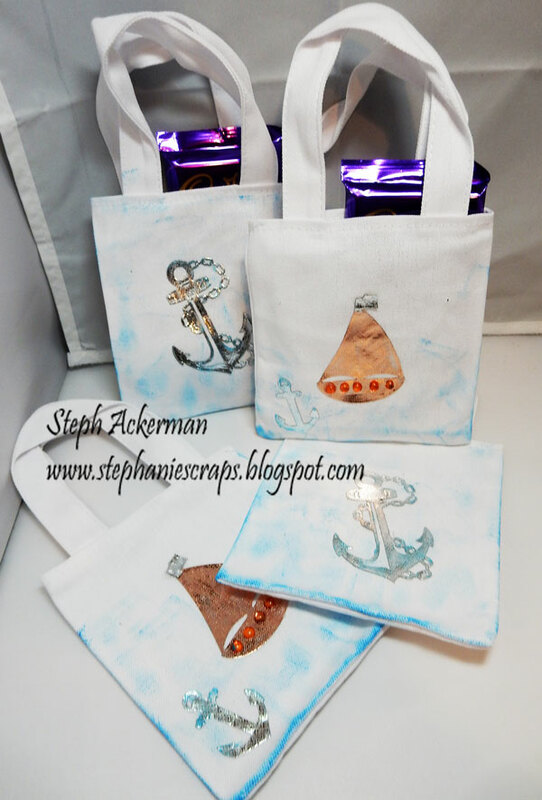 I die cut more anchors from Silver Metallic and several sailboats from Rose Gold Metallic. I also adhered them to the gift bags with Fabri-Tac, then inked around them with Clearsnap Chalk Ink. A few dew drops from the Robin's Nest were placed along the edges of the sailboats. 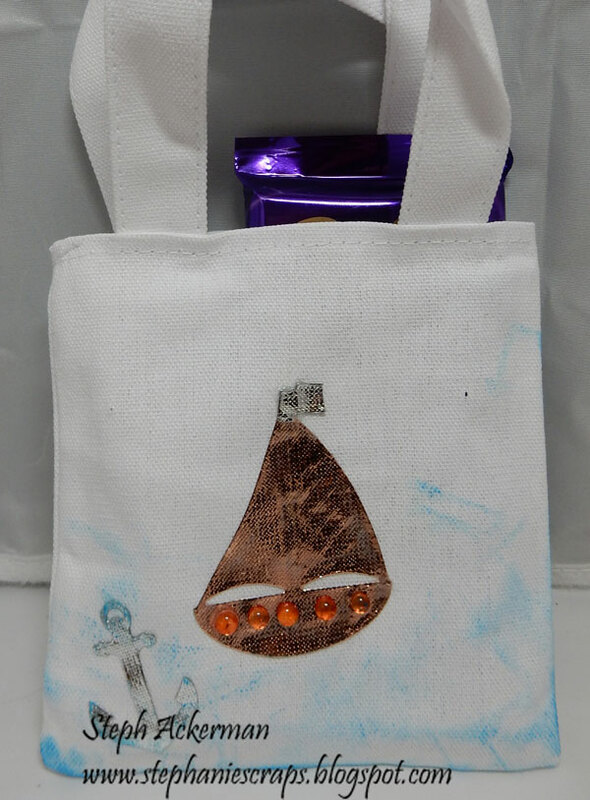 Now place candies and goodies in the bags you are ready for the party! 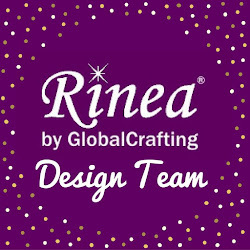 Please be sure to check out all the designers projects today on Designer Craft Connection blog. There is a giveaway today - one bolt of Oly-Fun Metallic of your color choice will be the prize (US and Canada only). 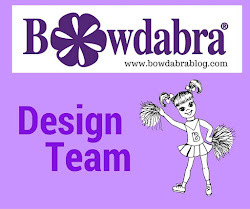 Please leave me a comment then enter to win via the Rafflecopter on the Designer Craft Connection blog. What a fun idea Steph! Love the shapes! 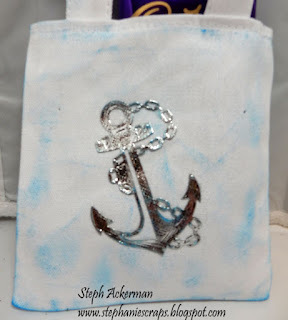 Really cute project! Thanks Tammy - OlyFun die cuts really well. Thanks Ann - definitely fun to make.